Nobody Can Beat Our Complete & Personal Club Fitting Program. We Spend More Quality Personal Time with You than Any Other Business. Everyone can benefit from properly fitted custom golf clubs. Fitting is best done by a trained club technician/fitter. It is near impossible to find a club manufacturer that can deliver club a perfect fitting set of clubs. Golf clubs must fit an individual with a high level of precision to maximize value. Most companies who claim to deliver custom clubs only match two or three main specifications. Usually just the following: club length, lie angle, shaft flex. We match up to ten specifications. This includes: club head design, shaft style, shaft flex, shaft frequency, lie angle, loft angle, swing weight, total club weight, grip style and grip size. Stock manufactured clubs purchased off the retail rack by golfers are made to fit a broad cross section of the public. 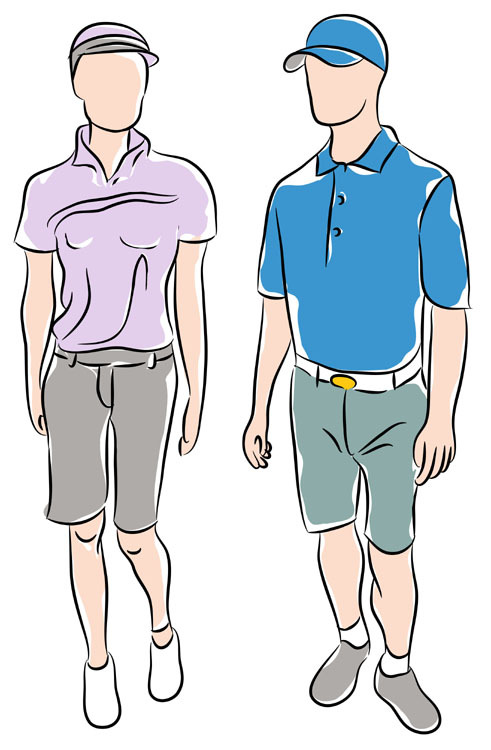 In doing so, these manufacturers calculate the average golfer height/weight by gender and measure a few key points such as arm length, ground to hips, and shoulder width. They are also made to fit the ideal golf swing. While the majority of people can fit this mold with a serious stretch of the conditions – it is not a precise match by any means. Yet, a small group of people actually fit well into those benchmark measurements. If that is you – then you are very lucky! The rest of us need to adjust clubs to fit (or rather work around) our imperfections. Most everyone has different challenges whether it is physical nuances, conditioning, injury limitations, strength variances, or just an imperfect swing. The act of custom fitting clubs to an individual person is the best way to level the playing field and overcome the limits of our unique circumstances. There are many Club Fitting programs out in the marketplace, however, we find that ours is a unique combination of personal analysis combined with an in-depth knowledge of club design dynamics. Our Club Fitting Program includes fitting the individual. This includes Woods, Irons, Hybrids, and Putters. We also fit Grips (Type and Size), Club Weight/Length, Head Design, Shaft Dynamics (Style and Weight). Additionally, we try and suggest golf balls to best fit you. Regardless of our customers’ age, gender, or skill level, our highly trained club-fitters and experienced club builders can custom tailor our customers’ golf equipment to produce improved on-course results. We fit your clubs to your individual swing. We do not try and fit your swing to your clubs.